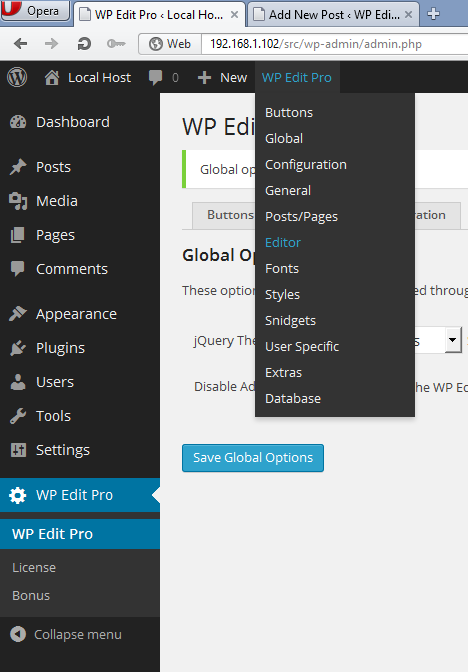 WP Edit Pro provides quick access to each of the tabs available on the main settings page. 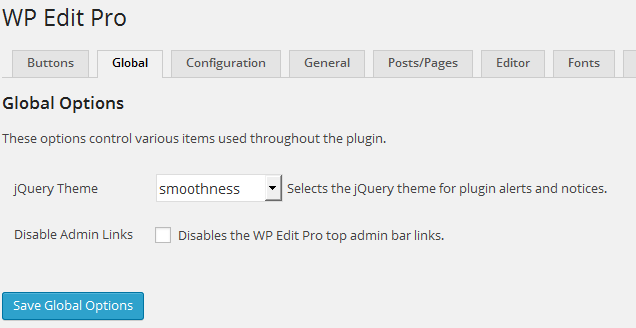 Using admin links; a user can quickly navigate to any tab on the WP Edit Pro admin settings page. Deactivating the Admin Links option will remove the links from the admin menu.